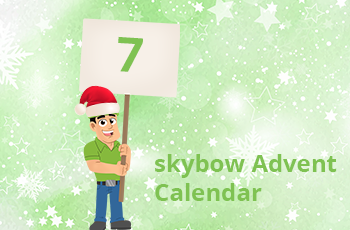 Advent Calendar Door 7: Master-Detail relations on SharePoint Forms. Today a simple, but important skybow Advent cookie: master-detail relations. Everybody knows this struggle with standard SharePoint: if there is related data involved (through the lookup fields), the user needs to leave the context of one list, switch to another list, and enter the related data in that list. Not so with skybow Solution Studio or skybow Rich Forms. 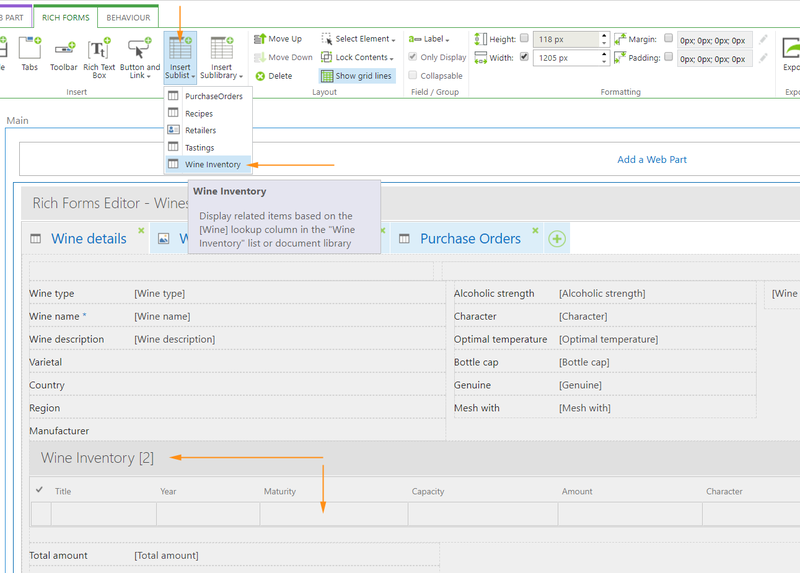 Here we can, with a single click, drop related list or library to the edit or new form, and that way create a functional master-detail relation, where user can enter both master data, and any number of detail records, without ever leaving the context. Even more, cross calculations between master and detail lists are easily done. By clicking on the “Insert Sublist” icon from the “Insert” group in the Rich Forms ribbon, a list of all SharePoint lists which have a lookup field towards the current list will be offered. The list will be inserted in the grid view mode. 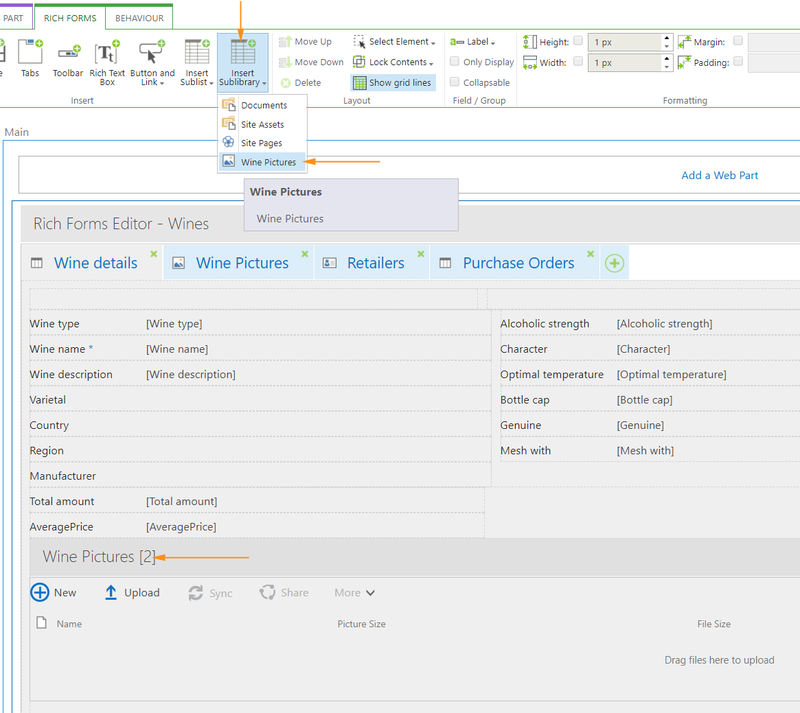 Each new item entered in a sublist will have an automatically set up lookup column towards the parent list, creating on such a way easy and logical way to work with relational data in SharePoint. The same is true with sublibraries – the only difference here is that sublibrary will not be placed in quick edit mode, but rather in the “drop file” view, where users can easily drop files, pictures or anything else. And there it is – within few seconds, with one click, we have created a fully functional master-detail relation on any SharePoint form.